A picture of a stranded old boat on the way to Point Reyes lured me to explore the place. I found the image of the stranded boat very intriguing and the adventurer in me was itching to have my own photo of such an interesting sight. It was quite a long drive from Sonoma County, but the picturesque country roads was worth it. The famous lighthouse, is the vantage point to observe whale migrations. 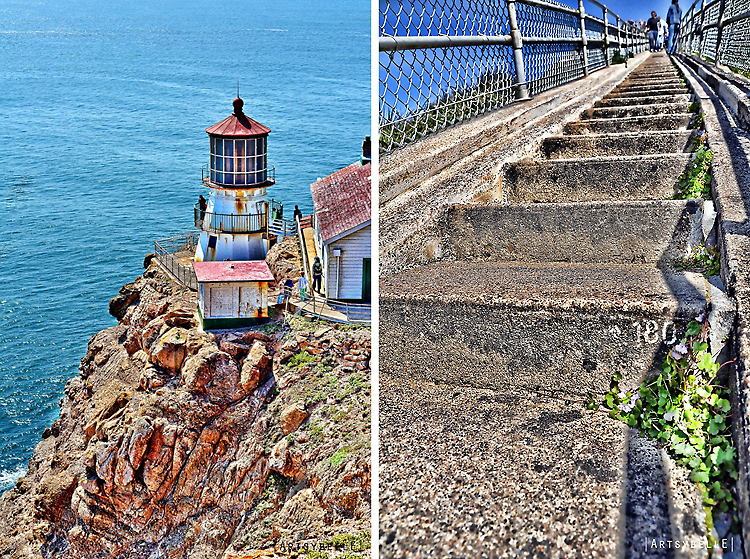 Be warned that you have to take hundred or more steps just to reach the lighthouse. Be sure to wear comfortable shoes and appropriate clothing depending on when you plan to visit the place. The Pacific ocean breeze, the cliff view, the beautiful rock formations, and the sound of the waves are worth the trip. 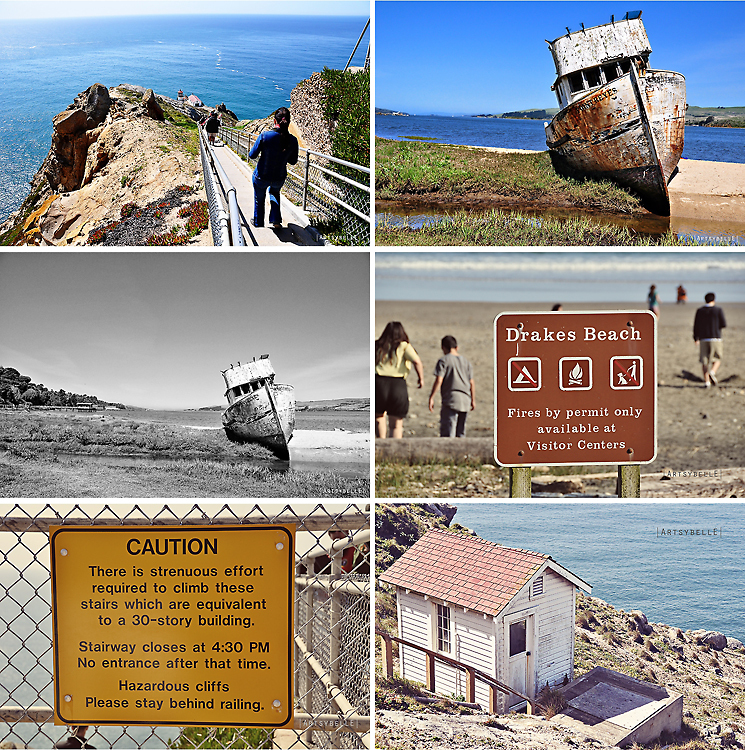 The Point Reyes attraction is subject to park rules depending on the season and weather; thus, I suggest that you check out the links below before you head over there. It's such a beautiful place. It was shrouded in fog when we were there, but still beautiful.